It’s the Saturday before the Halloween, we have made some party plans for the evening, but there’s nothing going on in the afternoon. We thought it’d be perfect if we keep it low-key and just invite a couple of neighbors over and watch some college football. We bought some delicious seasonal pumpkin beer the day before, all we needed is a little snack for people to munch on during the game. 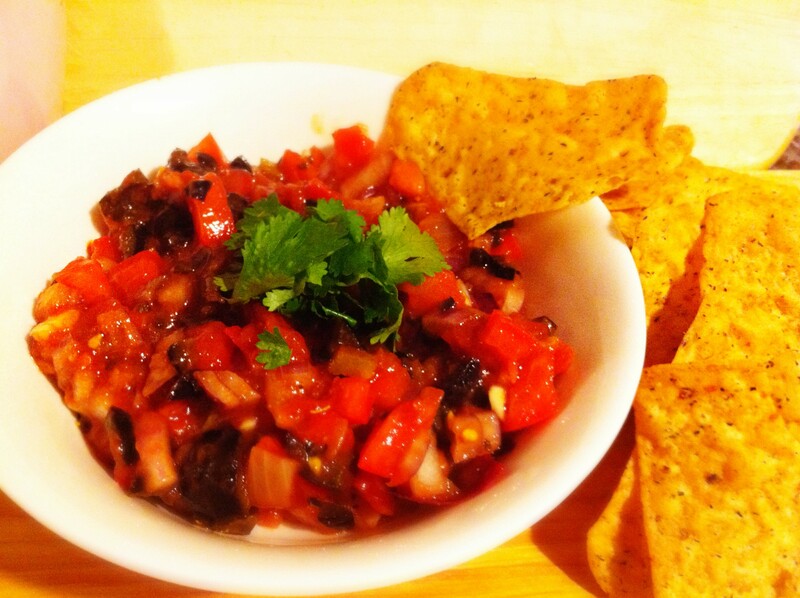 Chris’s mom has this amazing recipe for black olive salsa, it looks simple, but it has the perfect amount of crunch and saltiness to go with the chips; it’s packed with flavors, and it’s pretty on the eyes, too! 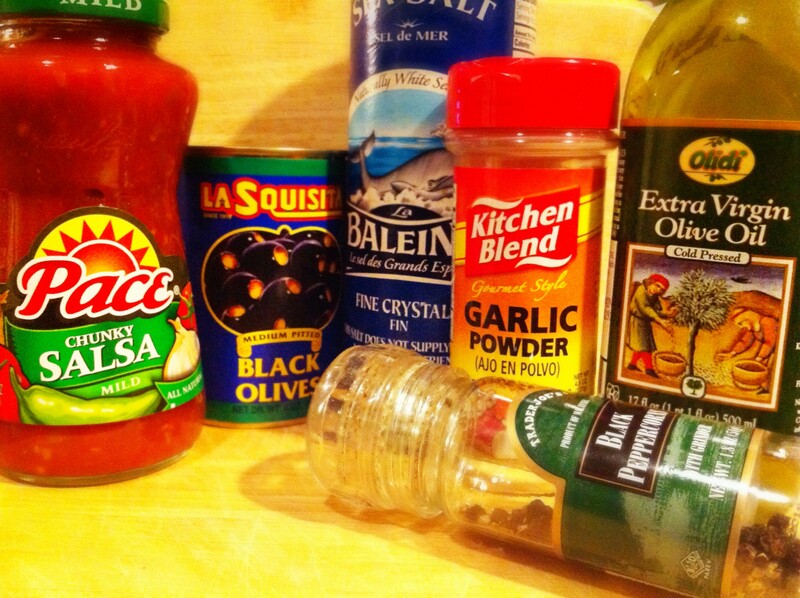 This is the perfect occasion for us to recreate this salsa to impress our neighbors! Dice the tomatoes, removing seeds where possible (it’s not necessary to remove all of the seeds), and place in a large bowl. 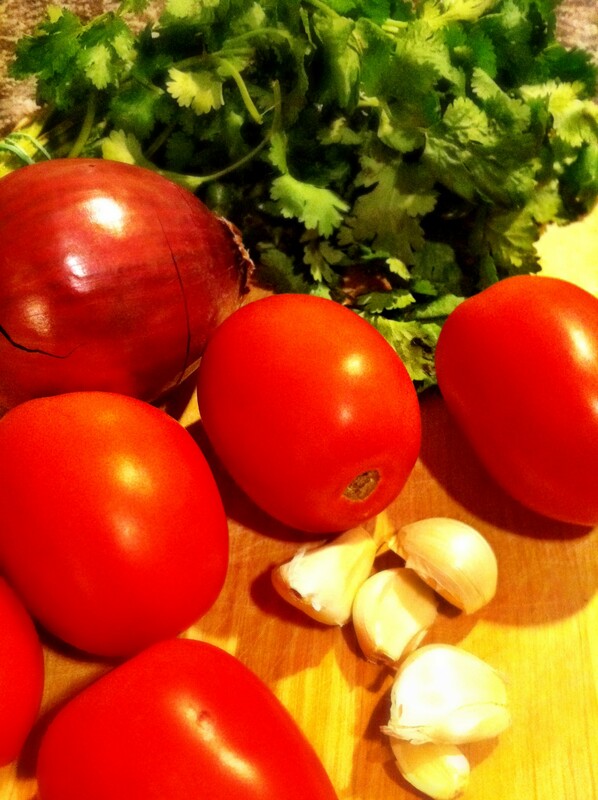 Next, finely dice the red onion and cilantro, then add to the tomatoes. Chop the garlic into small chucks and add to the bowl. At this point, pour the olive oil over the mix and lightly salt with ground coarse salt and add a pinch of garlic powder. 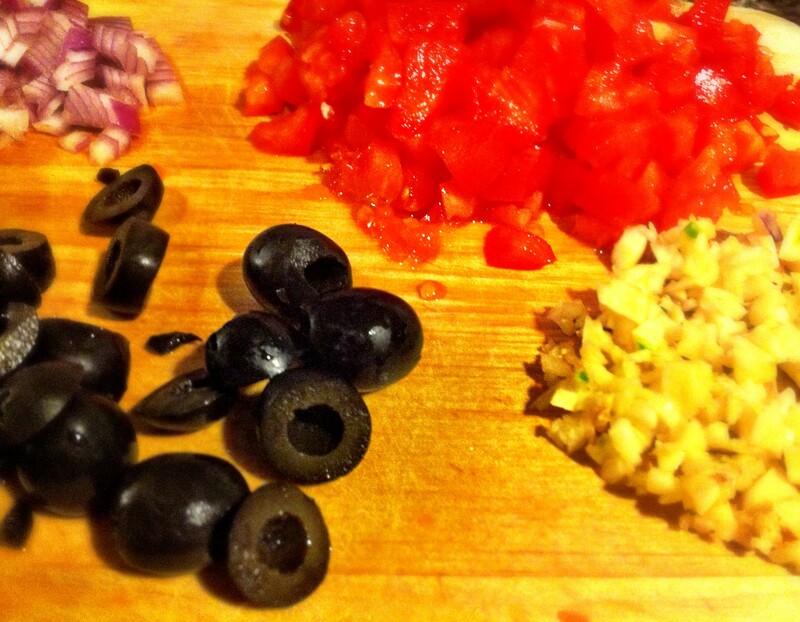 While this bowl of deliciousness marries, drain the black olives, chop and add. 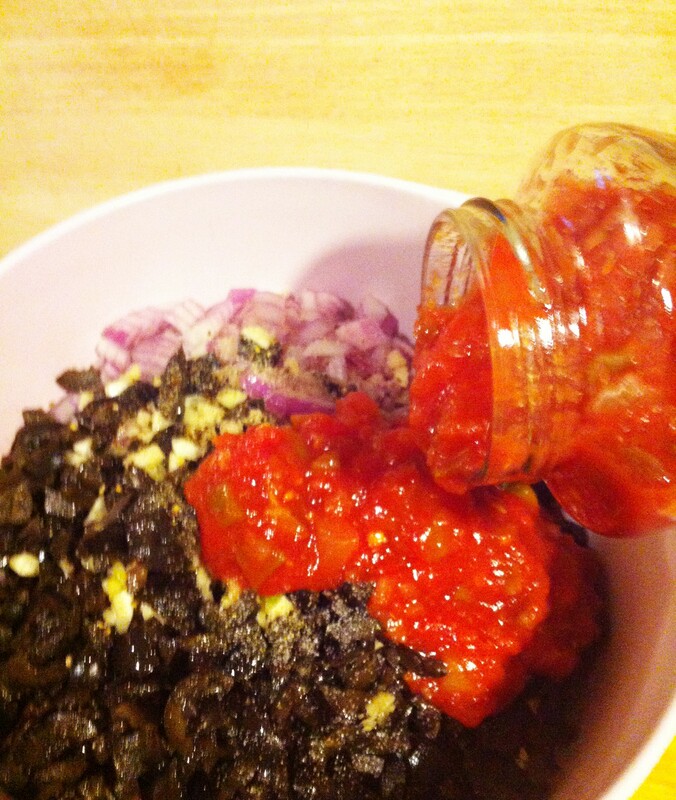 Pour in the Picante sauce and mix everything together, salt and pepper to taste. We prefer to cover and cool in the refrigerator for maybe 20 minutes or so before serving. 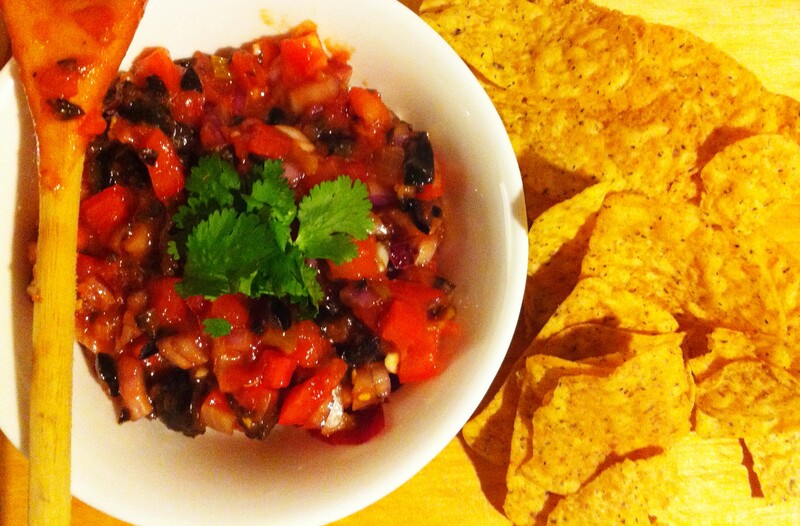 Serve with tortilla chips of choice. 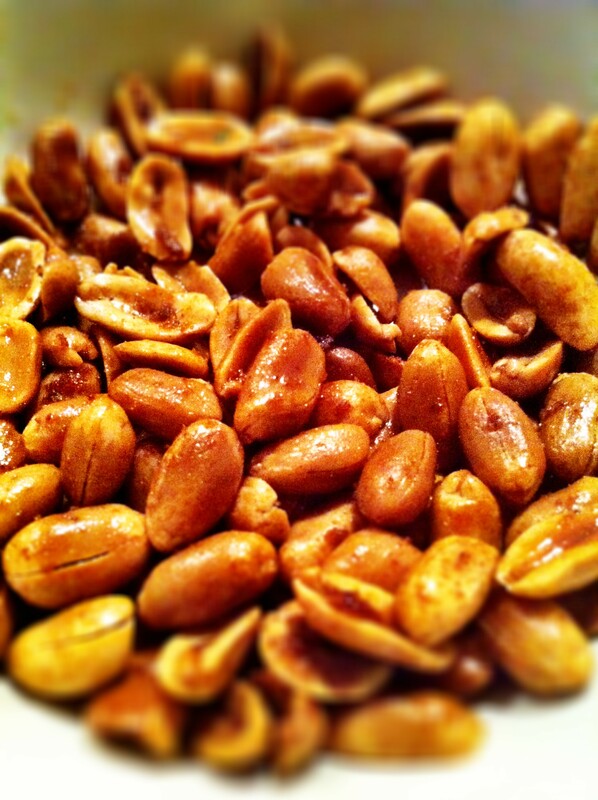 These are some yummy spicy peanuts that totally deserve a post on their own. The first time we made these peanuts is when we were recreating a Thai Salad we had from a restaurant. We’re so obsessed with spicing everything up and decided to spice up the peanuts, too. Since we used some soy sauce in the mix to spice things up, and we mostly used them to top off our Thai dishes, I decided to name these delicious delights Asian Spiced Roasted Peanuts. They’re awesome as a snack too, it’s great to make a little extra and save it for later (if you can manage to not finish it all). The savory and spicy combo is just perfect with some ice cold beer in a hot summer day! Preheat oven to 350F. 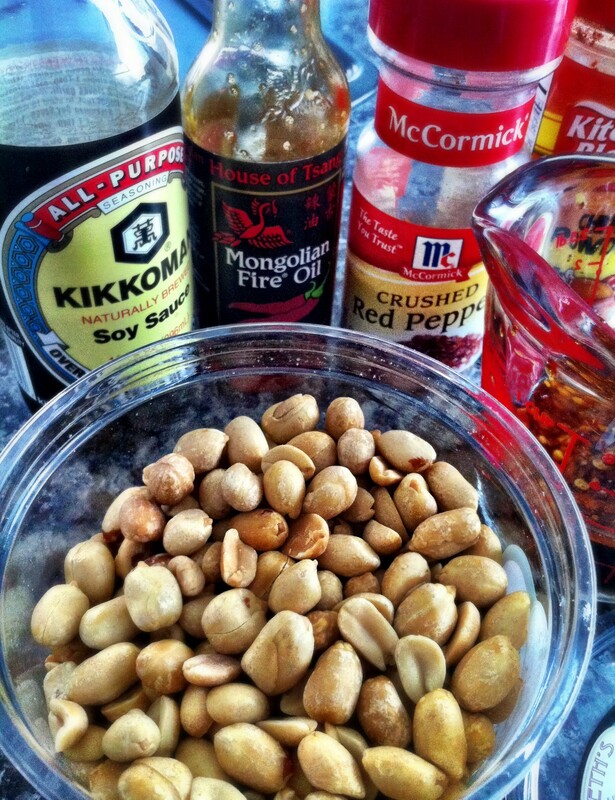 Mix soy sauce, sugar, and all the hot sauces in a big bowl, add the peanuts in and toss them around to coat evenly. 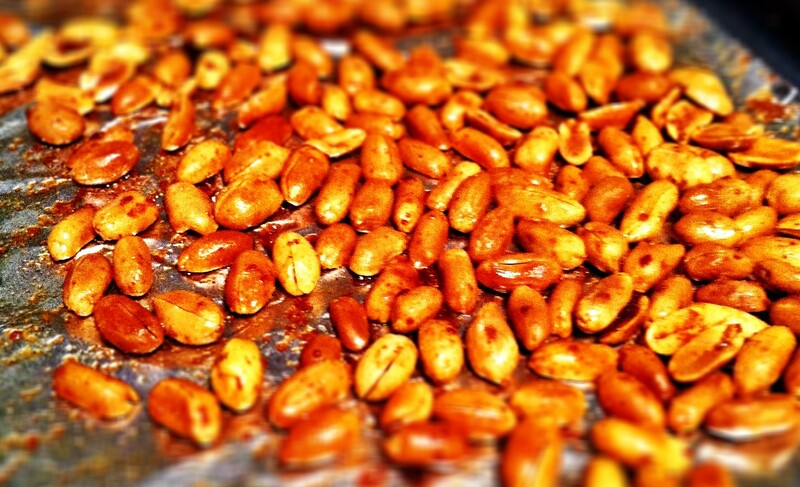 Roast the peanuts (stir occasionally) for 15-20 minutes or until it’s golden brown. Look at these good looking peanuts. The glaze comes from the sugar and the soy sauce; the redness comes from the hot oil and chili flakes, since we usually like to crank up the spice meter. Chop them in the salads, or eat them just like that. They’re addictive, too…. just giving you a heads up.